Everyone loves a good myth. Local legends like Sasquatch are magic not because of their mystery, but because they are tales we can all connect with. 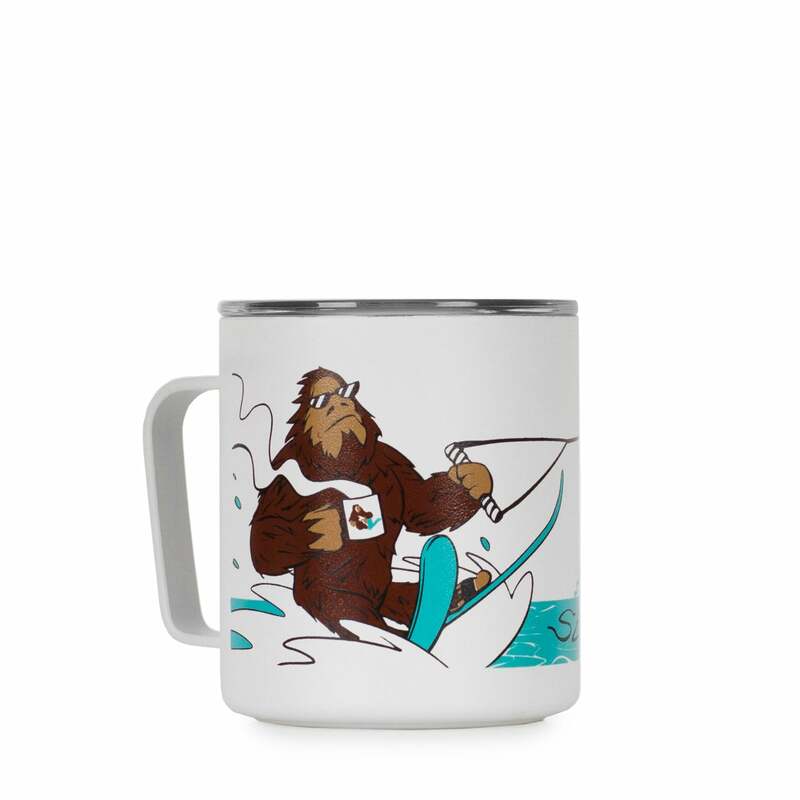 Seriously, who doesn’t love a good ‘ol waterskiing bigfoot? And behind one of Seattle's iconic seaplanes no less. Hills meet sand in this lil cup of color. 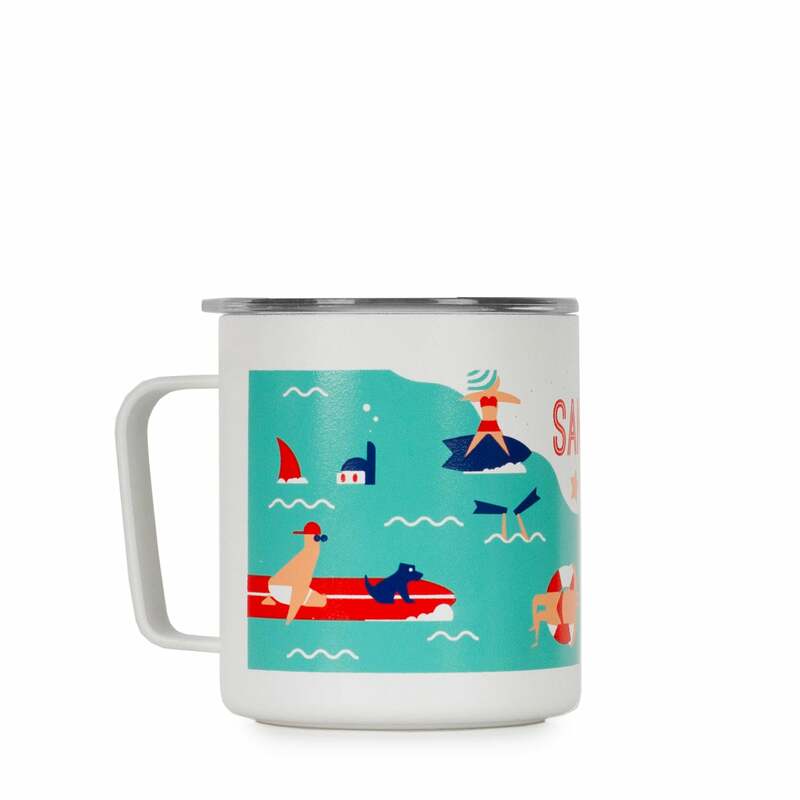 It is a pure homage to Venice Beach and Santa Monica. Fun and flash permeate not only the beach culture, but the film industry this wonderful city has brought to the world. We applaud the diverse and eclectic themes people attribute to The City. 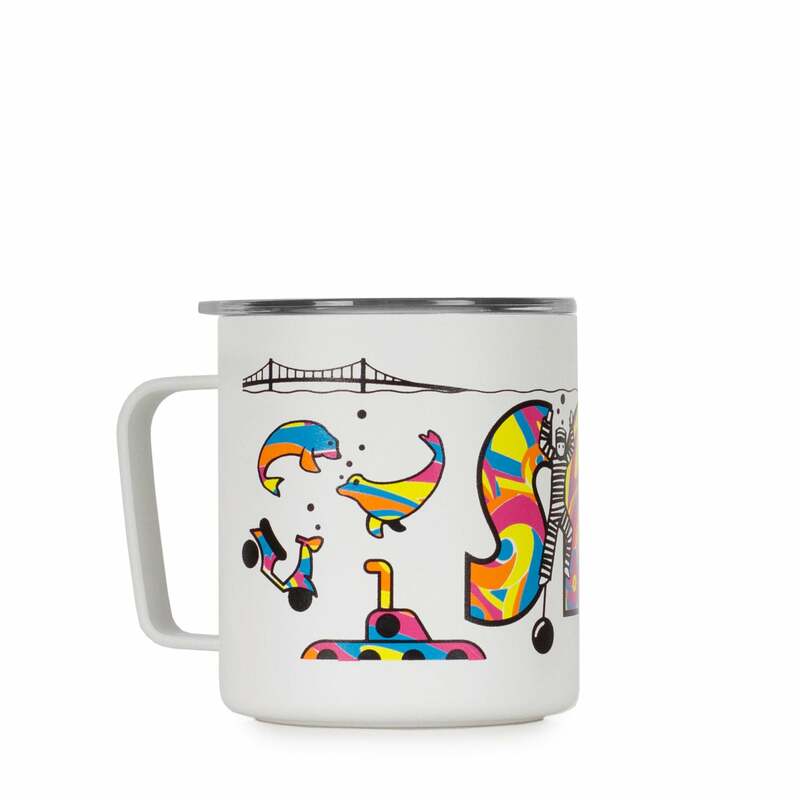 We contrasted the bleak inescapability of the Alcatraz prison with color, representing the free spirited and diverse themes the city has to offer. That psychedelic San Francisco sound. 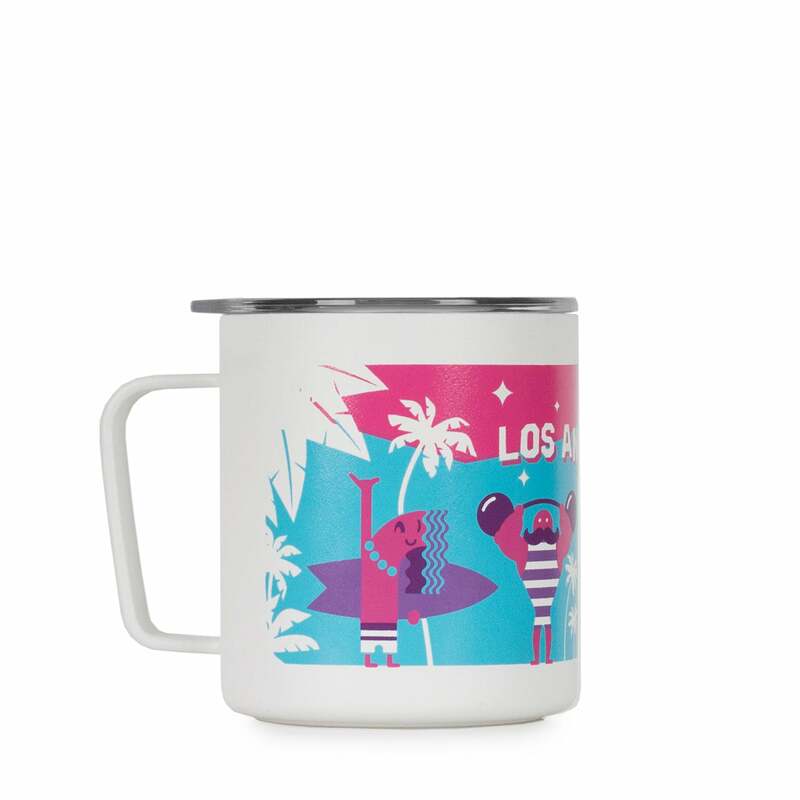 This cup is meant to transport you to the beautiful beaches of San Diego. The essence of this scene is “Fun in the sun” and if you’re like us, you can’t get enough of it. Now you can get a dose of sun with every sip! 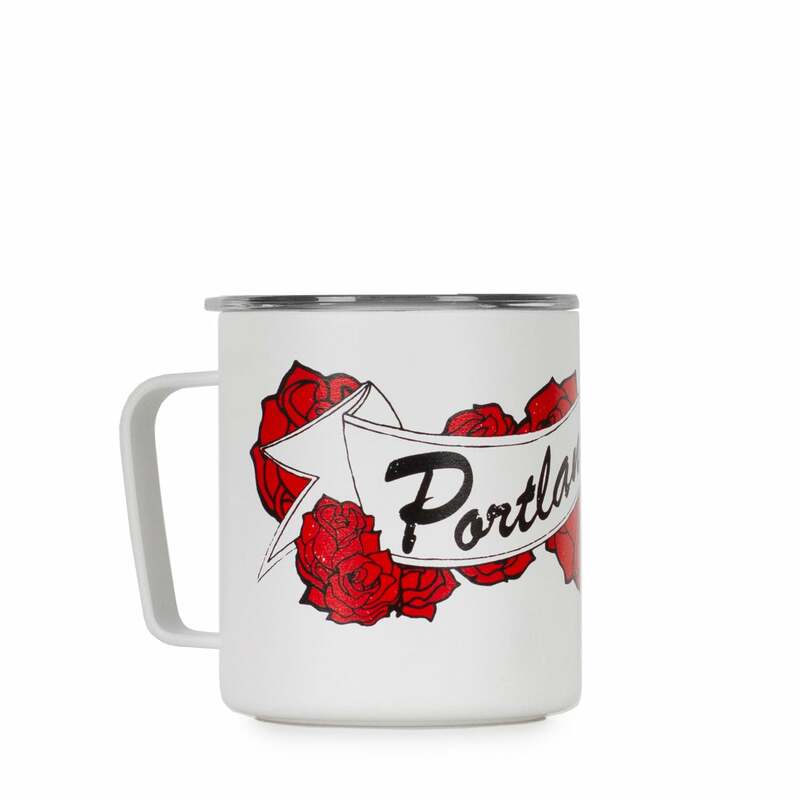 With Portland we wanted to evoke the long and rich bicycling history while using an almost vintage spoof. We're pretty sure these large front wheel contraptions weren’t around during the bicycle boom of the early 1900s, but we love the imagery of early Portlandians cruising through the City of Roses on their big wheels.